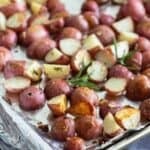 These Garlic and Rosemary Roasted Potatoes provide so much reward in return for very little effort. They make a wonderful side dish–we love to eat them alongside grilled flank steak. Although I’ve also been known to whip some up for a lazy weekend breakfast or brunch. Please trust me when I tell you that they’re excellent when topped with a runny egg! These potatoes really require very little effort or skill in the kitchen. They’re so easy! 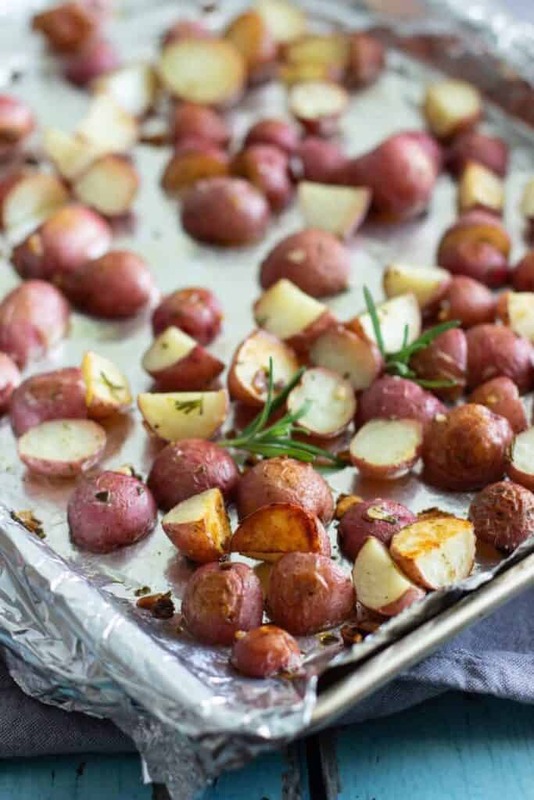 Just chop some small potatoes, toss them with olive oil, herbs, salt and pepper, and roast them in a very hot oven. Then all you’ll have to do is toss them around a few times during their cooking time to make sure that they get lovely and brown all over. 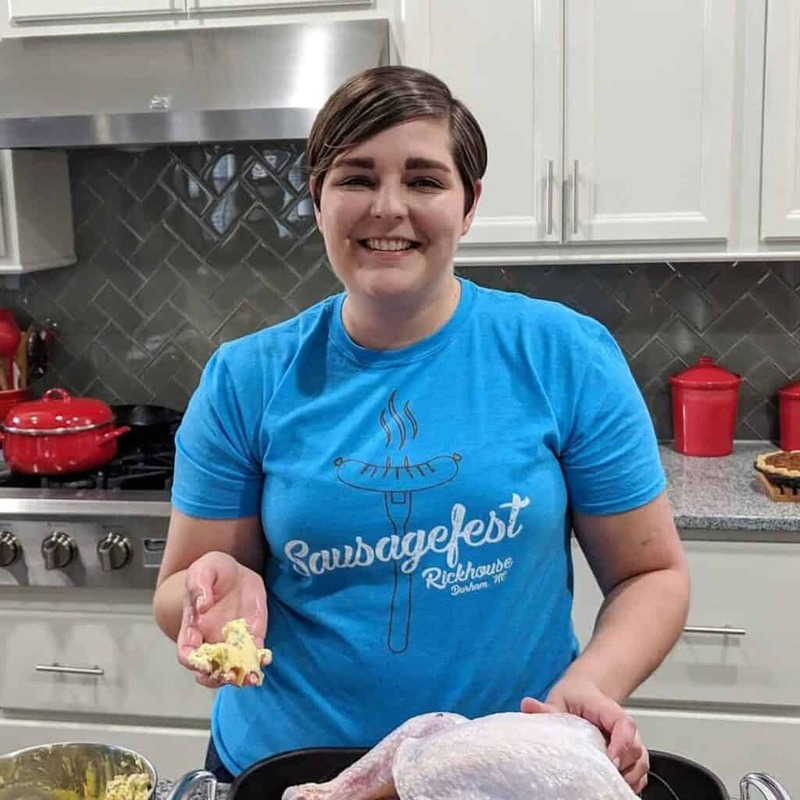 Before you know it, you’ll have a delicious, versatile side dish that the entire family will love. Preheat the oven to 400 degrees F. Line a baking sheet with foil, spray it lightly with cooking spray, and set it aside. Mince the garlic and rosemary and place them in a gallon zip top bag. Chop the potatoes and add them to the bag, as well. Add the olive oil, salt, and pepper to the bag. Zip it closed and toss everything around until the potatoes are well-coated with oil, rosemary, and garlic. Put the potatoes on the baking sheet in an even layer. Roast for 40 minutes, or until the potatoes are fork-tender and slightly browned. 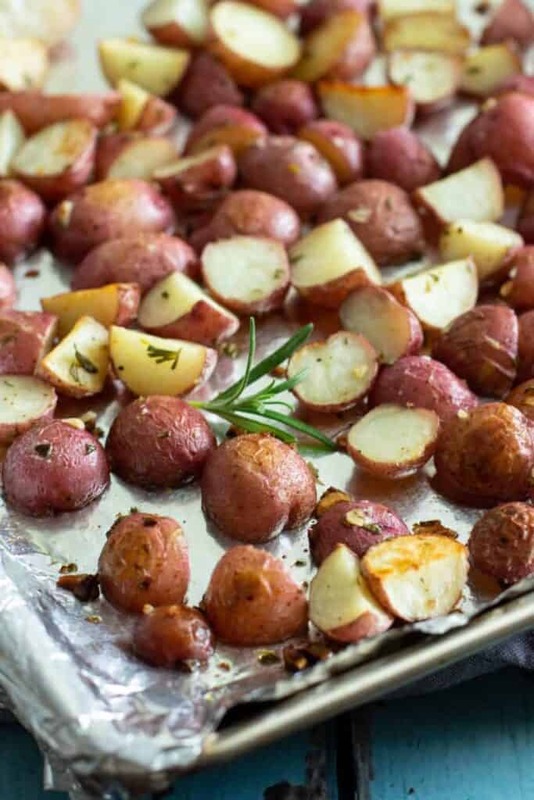 Use a spatula to toss potatoes around on the baking sheet every 15 minutes or so, to ensure even browning. 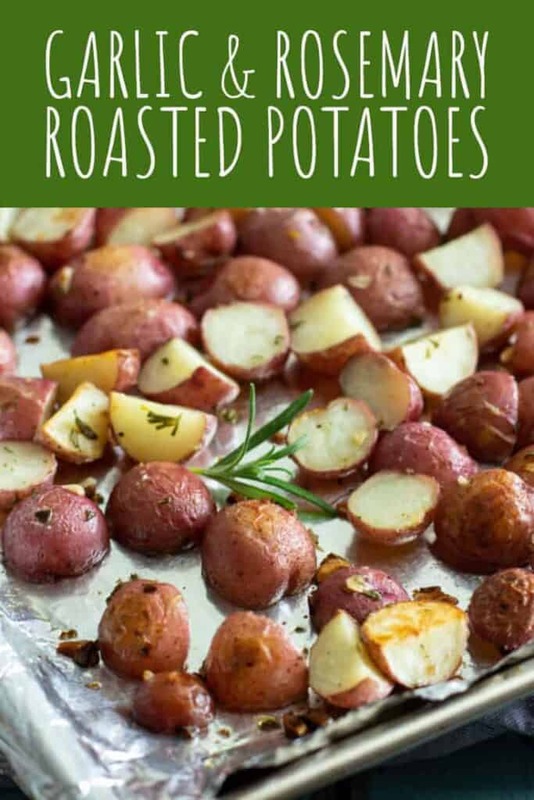 Notes: These potatoes are also lovely when using a mixture of fresh rosemary and fresh thyme. Dried herbs can also be substituted, but you will want to use a smaller amount of dried herbs than fresh. Roast taters and runny eggs for dinner! YES! You are a kindred spirit! These look so delicious, loving the classic garlic and rosemary combo. YES! I love breakfast for dinner, too! Thank you!! They’re a favorite in my house!